Chalet Escalade in Megève is a small-scale hotel with 12 Rooms. 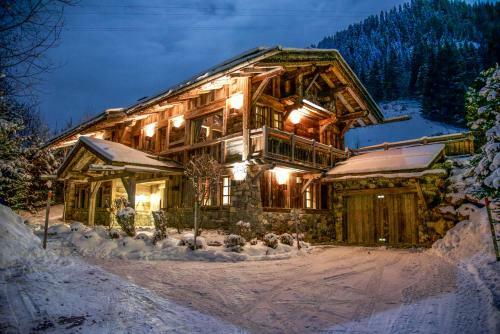 Offering ski-to-door access, Chalet Escalade features views of the meadows and of Mont Blanc. Guests can access the skiing areas of Rochebrune, Côte 2000 and Mont d'Arbois from the property. 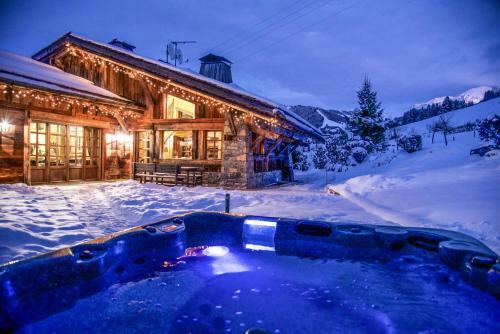 With free WiFi, this chalet offers 6 bedrooms, each with a flat-screen TV. There is a living area with a fireplace and additional facilities include an iPod station, a DVD player, a barbecue and a laundry. For an extra charge, guests can relax in the onsite sauna and indoor and outdoor hot tubs. Additional s...ervices available at the property include a conciergerie, a breakfast service and daily house cleaning, for a supplement. Parking is available in the onsite double garage. Jaillet Ski Lift is 2.8 km from Chalet Escalade. Geneva Airport is a 75-minute drive away and Chambery Airport is a 90-minute drive away. 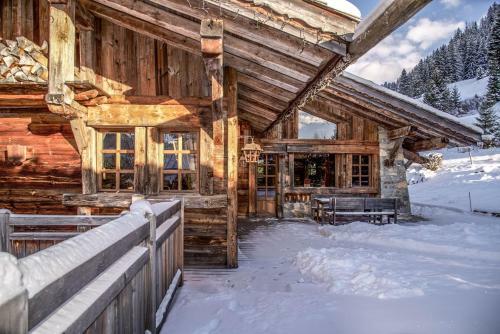 Offering ski-to-door access, Chalet Escalade features views of the meadows and of Mont Blanc. Guests can access the skiing areas of Rochebrune, Côte 2...000 and Mont d'Arbois from the property. 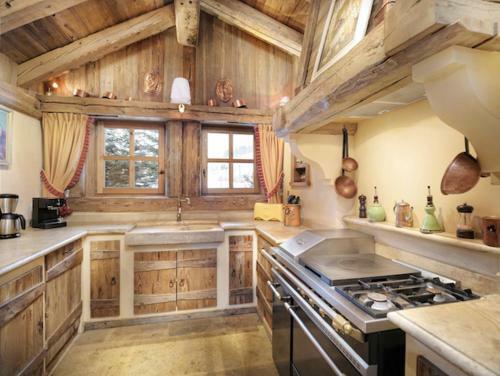 With free WiFi, this chalet offers 6 bedrooms, each with a flat-screen TV. There is a living area with a fireplace and additional facilities include an iPod station, a DVD player, a barbecue and a laundry. For an extra charge, guests can relax in the onsite sauna and indoor and outdoor hot tubs. Additional services available at the property include a conciergerie, a breakfast service and daily house cleaning, for a supplement. Parking is available in the onsite double garage. Jaillet Ski Lift is 2.8 km from Chalet Escalade. Geneva Airport is a 75-minute drive away and Chambery Airport is a 90-minute drive away. When would you like to stay at Chalet Escalade? Please inform Chalet Escalade in advance of your expected arrival time. You can use the Special Requests box when booking, or contact the property directly with the contact details provided in your confirmation. Guests are required to show a photo identification and credit card upon check-in. Please note that all Special Requests are subject to availability and additional charges may apply. Payment before arrival via bank transfer is required. The property will contact you after you book to provide instructions. A damage deposit of EUR 500 is required on arrival. This will be collected as a cash payment. You should be reimbursed within 14 days of check-out. Your deposit will be refunded in full via bank transfer, subject to an inspection of the property.